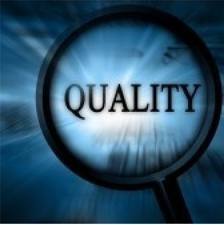 Our foremost priority is offer quality range so as to maintain our credibility among the clients. For this, we have teamed up quality professionals in order to keep the tab on functionality and efficiency while procuring products till the packaging. Before finalizing any deal, we make sure that our range is designed by vendors using high-grade raw material and is at par with the international standards. Our diligence and firm commitment enable us to meet client satisfaction with dedication and continuous endeavor. We make this possible by providing products conforming to international quality standards. Adopting a client-centric approach, we always put in tremendous efforts towards fulfilling our clients’ ever-growing requirements. Thereby, our offered products are widely demanded across textiles, paper, automobile industries and many more.